The 6000IS excels in producing quality, dry, pressurized steam. 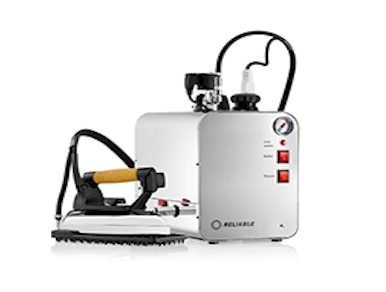 Pressurized steam is the fastest and most efficient way of ironing. It allows the fibers of the fabric to be softened quicker, with the weight and heat of the iron laying the fibers down flat. This creates the trip and clean finish demanded by professionals.